There are several ways in which VoIP can save a business -- from a small business to a multinational corporation -- a lot of money. Some of them are fairly technical and/or relatively minor, but there are four major costs that VoIP can reduce or eliminate. 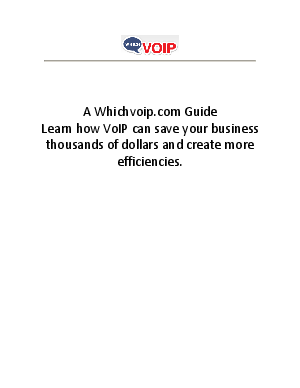 VoIP reduces Cost per month of operation, reduces cost per call, reduces cost per service and helps reduce the tax burden associated with traditional phone service.